…or better yet build your own! Hint: That’s not static, its rain on the dome but its warm inside! But Sasha, I couldn’t build my way out of a wet paper bag? 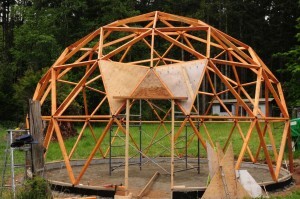 Guess what… you can still build this dome! The most amazing moment of the whole project was when Tom and I connected the last strut at the very top of the dome and WHAMO the frame went from having a bit of movement to being totally rigid. So of course I did what all manly dome builders do, I climbed up on top and yelled, “I’m king of the world!!”. Or something equally original. 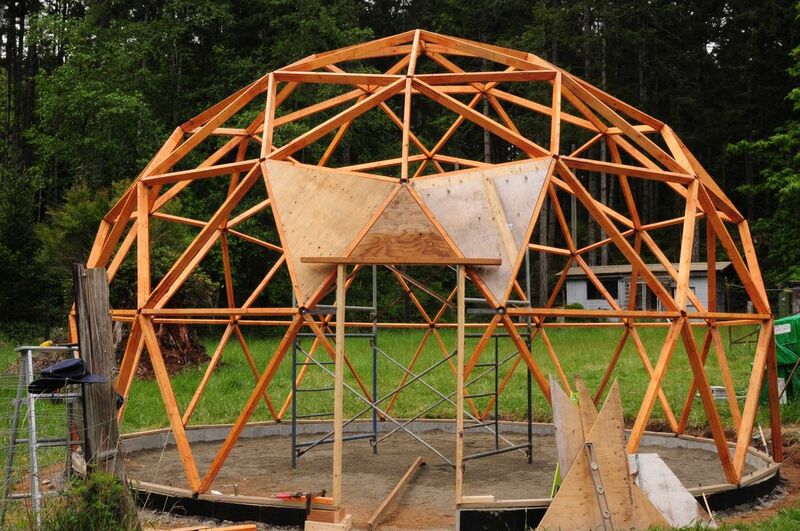 But really, you could actually build one of these domes! The new Eden Biodome Hub System makes the whole thing go together like almost like Lego or Tinker Toys (shows how old I am!) 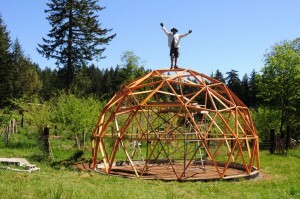 And there is nothing like that moment when you connect the final struts and all your hard work building your geodesic greenhouse comes together into one amazing dome! Yes you will need some tools. But if you are worried about food security, economic collapse or super storms or any other badness you need tools anyway. 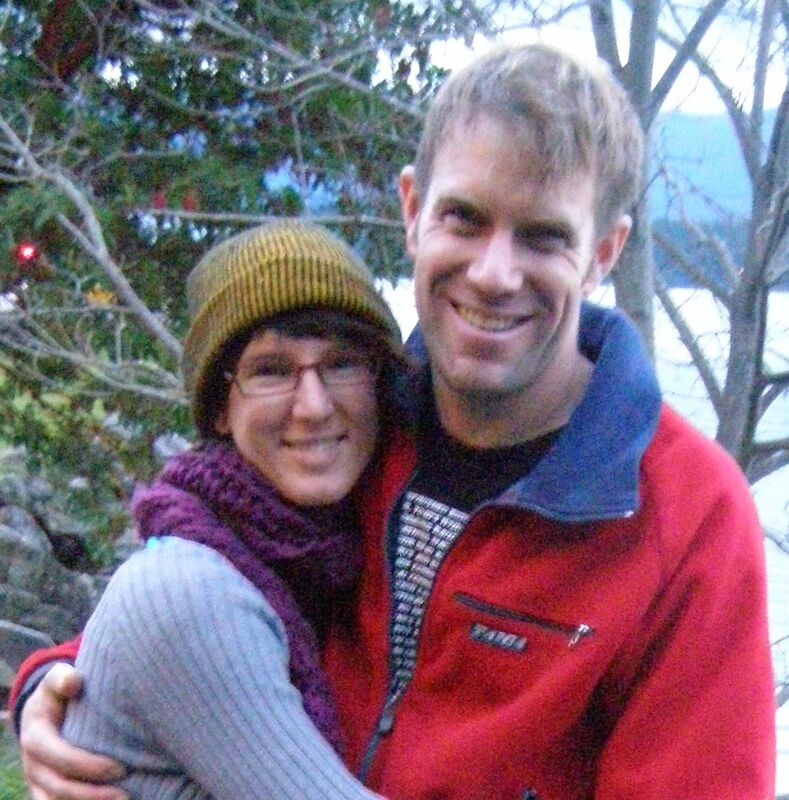 And you can always make friends with someone who has the tools cause building domes is fun! 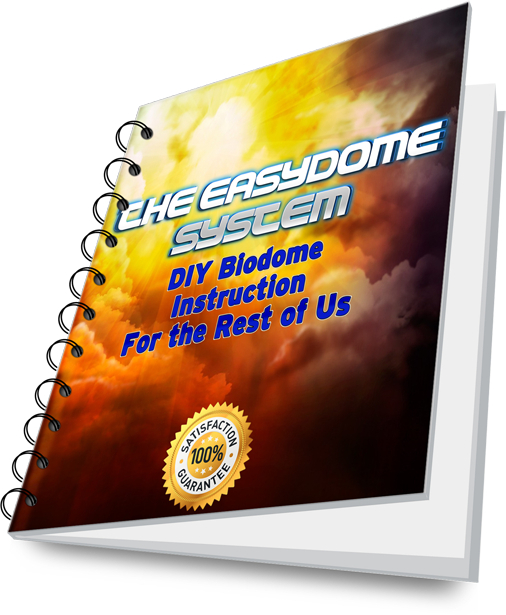 After you have decided to actually build your own biodome greenhouse you need a plan of course. You can go search around the net, maybe find some blog posts like this one and come up with your own design. This is a great way to go, especially if you are good with math. Or… you can save yourself a ton of hassle and get the book and access to the videos here. 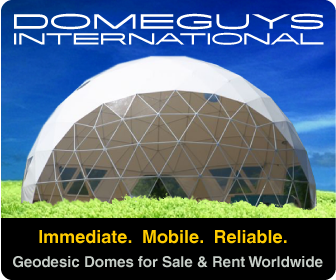 The site will give you access to the ebook, tons of detailed pictures and best of all the start to finish videos of the whole dome build from breaking ground to the grand opening. There is also a comprehensive FAQ and email support. So if you are getting ready to, or have decided to build a DIY geodesic greenhouse then get cracking now because the sooner you start the sooner you will be munching on fresh veggies, berries and fruit. Also there is something simply amazing about just being in a biodome, even a backyard dome will make you feel such a sense of peace and accomplishment you wouldn’t believe it. So whether you are doing it to grow food, to be ready for the big one, or just for the fun of it you have got to get your hands some tools, grab a set of plans either here or somewhere else and get building. Then of course there is the look of shock and awe on your friends faces when they see what you have build and even more taste the food that comes out of one of these amazing geodesic greenhouses, even in the dead of winter!